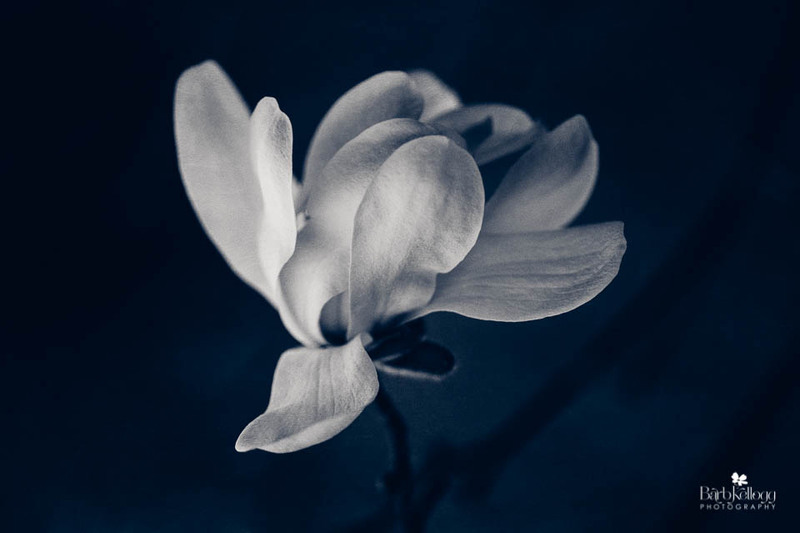 Midnight Magnolia, by Barb Kellogg. Just added to the Shop. Revealing the beauty of shape and texture - To see in color truly is a wondrous experience. But take all or part of it away, and another world is revealed.